Lampreys are tough, hungry, and invasive. Michigan and Canada have been fighting them for over half a century. Now, with the aide of pheromones, they may have found a new way to eradicate the lot of them. Since the 1950s, some companies have been doing good business in “lampricide.” This specially-targeted poison is meant to kill the lampreys invading the Great Lakes, but not kill all the other fish around them. It’s met with some success, but scientists now hope that they will improve their kill rate of lampreys and cut down on the accidental deaths of other fish, with the first “biopesticide” approved for vertebrates. Biopesticides are not exotic substances. According to the EPA, canola oil and baking soda are both biopesticides. Regular pesticides are usually synthetic compounds. At their best, they poison specific animals and leave others alone. Biopesticides are derived from natural substances. Natural isn’t always better. But while biopesticides may result indirectly in an animal’s death, they don’t directly poison it. A biopesticide could keep an animal from mating, or keep the sperm of the male from penetrating the eggs of the female. In this case, the biopesticides will be used to drive lampreys to specific locations so they can be trapped and killed. Lampreys communicate by chemical signals. 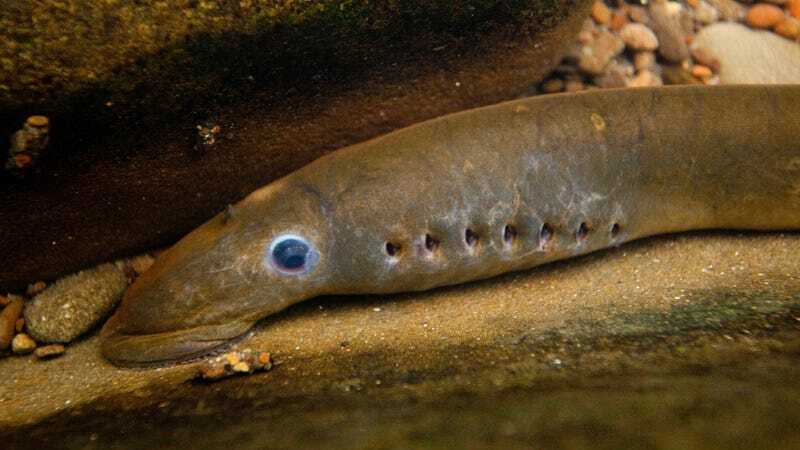 Male lampreys seek out promising mating sites by following the scent of young lampreys—which stay in the silt for four years before they mature. This scent can be replicated. Female lampreys follow the pheromones of male lampreys to find their mates. These chemicals can also be replicated. Both male and female lampreys will flee from chemical signals put out by wounded lampreys. This, too, can be mimicked and used to drive lampreys out of an area. Biopesticides have had success in controlling insect populations, and early tests show that they work well for in vertebrates. Traps baited with pheromones became between 10 and 30 percent more effective. It’s possible that, with consistent and ever-more-effective pheromones, the lamprey population can keep shrinking, with little effect on other species.